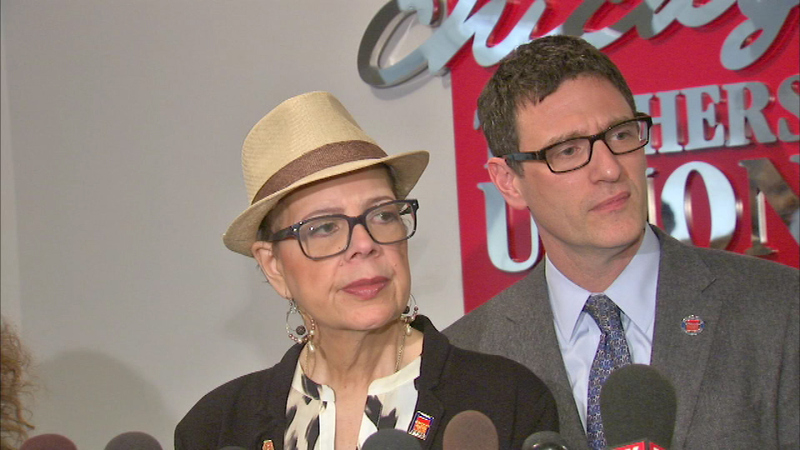 CHICAGO (WLS) -- The Chicago Teachers Union has set dates for members to take a strike vote. Ballots will be cast over three days starting on December 9. The union has been in contentious contract talks with the school board. The union took a practice strike vote earlier this month. The results showed 97 percent of members would vote in favor of a walkout, if it was necessary. CPS said in a written statement: "CPS is looking for solutions to our $1.1 billion budget crisis, and a strike isn't the answer. We're negotiating in good faith with CTU leadership to reach a fair, multi-year agreement that protects teachers, their jobs and our classrooms - and we encourage CTU to join with us in Springfield to fight for equal funding for Chicago children."